Showing results of 1 to 50 out of 1383 total listings. Website Details Map Book It Deals your business? Inaccurate Result? This listing has rates available now. 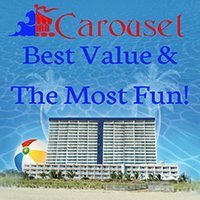 Get the best prices and deals in Ocean City, Maryland and book now! Stay *3 Nights and Receive 20% Off your 2019 vacation when you book your stay by January 31, 2019. Enter promo code: 20EB * Reservation dates must be made between 5/1/19 and 9/30/19. Select one or hold the crtl key to select multiple. Search by listing name or a keyword.